If you are, then you know you are facing a lot of consequences in your personal and professional life. Insurance rate increases, court fees and fines, license suspension or revocation, community service, possible jail time and maybe even a job loss. 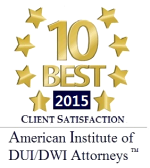 A DUI conviction can also interfere with the progress of your career for many years. A DUI conviction will show up in background checks as you apply for jobs for years to come. If you are a student, a DUI can make the difference between getting or keeping that scholarship and going it on your own. A DUI is not just for alcohol. Remember that a DUI includes not just alcohol but prescription medication, drugs, marijuana and assorted other substances that can impair your ability to drive. It also may not be a simple DUI if there’s resulting property damage or personal injury related to the impaired driving condition or if you’ve left the scene of an accident. The situation also gets legally more complicated when it’s not the first time facing a DUI charge. Deal with your DUI charge head on. To defend yourself, make sure you have the right lawyer helping you deal with the case. 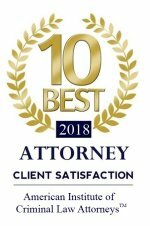 Someone who is well versed in the law and can appreciate and address the details of your case that can make the difference between a clear record and lifetime problems. Contact us to learn more about what we can do to protect your license, freedom and good name.